Affordable Limousine in Montreal ! Our Luxury Limousine Montreal services provide you the best possible experience with us. No matter who you are, you will always make you feel like a VIP because we value all of our customers. Meeting your needs with the best limo service and party bus service is always our goal and that is why our services cannot be beaten. Regardless of your party size or the occasion, we are here to make your experience the best. We are your go-to provider for Montreal limo and party bus services with the top customer satisfaction for services and value. We are competitively priced and continually run promotions. Making your dreams come true starts with us and always ends with the best of memories. 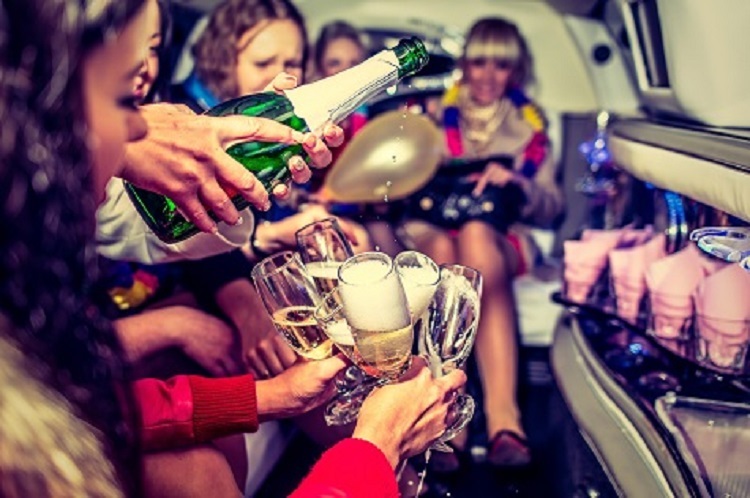 We offer limousine and party bus rentals for all events! • Among many more occasions . . .
Feel free to call us for an extensive list of provided limousine rental services. 1. Our vehicles are the best of the best and we have more to choose from than our competitors. We guarantee that our vehicles are well maintained mechanically and always up for any adventure you set out for. We also maintain each vehicle by having it personally detailed after each use. Our goal is to have the limousine or limo bus you desire ready to go and looking prestigious with all the desired amenities. Knowing you can have what you want and when you want it will be the start of your VIP adventure. No matter if you reside within our area or if you are visiting we offer the top services because we value our customers. Choosing what type of vehicle(s) you would like is just the start of your great experience, from stretch limousines, SUVs, and party buses… we have it all. Are you ready for the time of your life? Do you need to get away? Are you wanting to impress clientele? Well…what are you waiting for? Call us today and we will help you reach your goals! 2. Only the best chauffeurs and Limousines in Montreal. Our chauffeurs are up for any job they are given because they have been well trained. Also, our drivers are bilingual in French and English. When they arrive on a job you are sure to enjoy your time because of the outstanding service they provide. Each of our drivers are required to past testing and go through a series of classes before becoming our certified drivers. Between our vehicles and chauffeurs you are guaranteed the best experience possible. Let us help you and your clientele have the experience of a life time by having a VIP limousine in Montreal moment that only we can provide. 3. Time is of the essence! Being on time is of the upmost importance to us and we pride ourselves on always being on time. We have many way of catering to our customers and being on time any time they need is one of them. If you need someone to provide you with limo or party bus services… we are the ones who won’t let you down because we are there any time you need and we are always on time. 5. What you need when you need it! We carter to your needs. Do you need us today? Do you have 10+ people? We have you covered every time! No matter the size, time, or date, we have you covered. We want to be there for you and being able to be there any time with what you need is the first step. 8. Safe and Sparkling. Every one of our vehicles are detailed and inspected after every use. It is important that each limo in Montreal is ready for use any time and making sure it is clean and drive ready is a must for us. The Best Rates at Competitive Prices for All! We are competitively priced and aim to appease all customers on every income level. We want everyone to be able to feel like the star they are. Top Service Always: Let us help make your dreams come true or let us help you make the right impression on your clientele. We pride ourselves on being at the top of customer service and we are here 24-7 for you! Day or night we will be able to assist you in meeting your needs. No matter the budget we have an option for you and no matter the size of your party we have options for you. Call us today! Call us today or fill out the form to the right of this page to start your fun memories. We cater to Montreal and Laval and all surrounding areas.